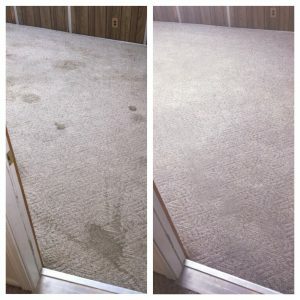 Beyer Carpet Cleaning San Antonio is your one stop shop for the best carpet cleaning around. The great thing about Beyer is that they don’t just clean carpets. They are also tile and grout cleaning and upholstery cleaning experts. 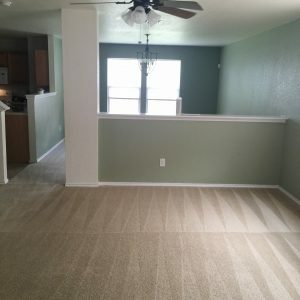 Beyer Carpet Cleaning can does not only an expert cleaning but they also offer the best prices in San Antonio with professional cleaners to back it up. Beyer Carpet Cleaning is upfront and hides nothing from customers. They have no hidden fees, services, or tricks up their sleeves. So often will a customer call in saying how they just kicked out another carpet cleaner because when they arrived the whole story changed from when they initially scheduled an appointment. Not only does the price change but there are all these added stipulations and services they try to push off on the customer. Some will even enter the home and invade privacy by shinning a black light on their carpet and furniture. Some customers are ok with this but some are not so Beyer Carpet Cleaning never makes it a regular practice. If a customer is concerned about pet stains and would like for us to shine a black light to point them out then that would be the only time a technician would do so, with the customer’s permission. Beyer Carpet Cleaning wants to be upfront and honest with all their customers so they know exactly what they are getting into. From price to policy Beyer Carpet Cleaning covers it all. They their customers to be comfortable and know they are not being taken for a ride. Because Beyer Carpet Cleaning San Antonio holds such high standards in customer service they have loyal customers who come back time after time. They are satisfied and always happy with their services. The technicians for Beyer Carpet Cleaning are background checked and are well trained. Customers can rest assure knowing that a professional is walking into their home and not a joe blow who is just looking to make a quick buck. Their technicians will perform every carpet cleaning, tile and grout cleaning, and upholstery cleaning will be up to par and customers will never get less than the best. Their technicians are timely and are in constant contact with customers as far ETAs and making sure the customer know what to expect from their cleaning. They are knowledgable and prepared to tackle any job. Their vans are stocked with everything they need, from products to equipment, to get the job done perfectly and efficiently. You cannot go wrong using Beyer Carpet Cleaning San Antonio. Just look at their massive Google reviews from real customers. They have 5 strs across the internet from Facebook to YP to Google. Customers are satisfied and Beyer provides the best which is why they have been able to survive the shark environment of carpet cleaning in San Antonio.